When you’re a dinosaur, species-obliterating asteroids aren’t even the worst thing to fear: newer, cooler dinosaurs replacing you are. Such is the fate of the dinos at Universal Studios Hollywood. The park’s classic Jurassic Park ride is now going extinct, but don’t worry; it’s merely getting an upgrade courtesy of Jurassic World: Fallen Kingdom. The original attraction is easily one of, if not, the only, best things about Universal Studios Hollywood. As someone who grew up in L.A. and frequented the theme park as a kid, it was pretty much the only ride I’d go on, then immediately turn around and get in line again. It was also a fun venue for some celeb sightings – Vince Vaughn got off the boat before me once; I spotted David Hasselhoff near the bathrooms another time. The ride is pretty simple: a boat full of guests go on a Jungle Cruise-like expedition into the dinosaur park from the original Steven Spielberg film. But part-way through, something goes awry and you’re taken inside a dangerous back-entrance where a T-Rex lunges at you à la Disney’s Indiana Jones ride boulder. You also get crazy soaking wet. A perfect summer ride! 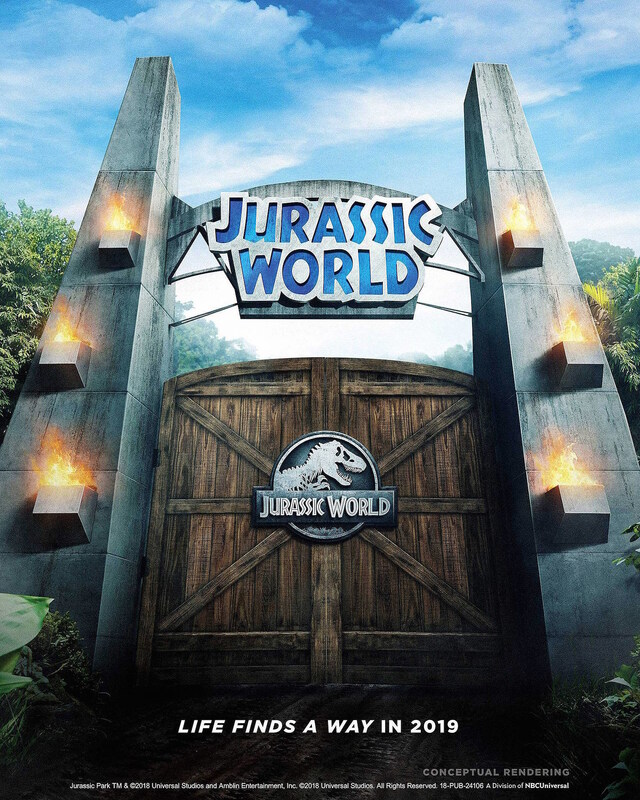 Universal Studios confirmed on Twitter that the Orlando park’s Jurassic Park: River Adventure attraction isn’t going anywhere (for now), but if you plan to experience Hollywood’s one more time, you better get there before it closes on September 3. Jurassic World: Fallen Kingdom hits theaters June 22.